Is that a ray-gun from the future (in the middle of the bottom shelf of the left window)? If so, there’d better be time travel in this episode! Yep! There’s also a well known gun next to it. Hint: It’s the usual trusty sidearm of a famous scruffy-looking nerf-herder. thanks for the invitation to meet this fascinating principle! 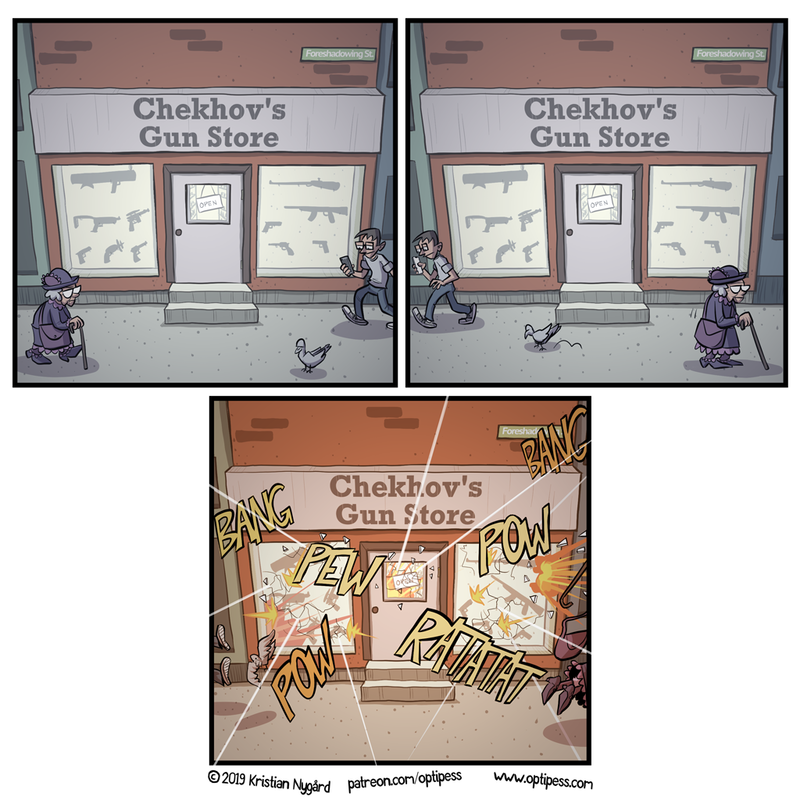 I’m seeing a lot of pro-gun banner ads on this page, I’m guessing due to the name of the comic. Partial credit, Google. Haha, sorry! Oh well, thanks for disabling Adblock on my site. Moscow! Moscow! Moscow! Masha is a fine and honourable woman. So if you hung the third act///panel over a mantelpiece…? It must explode in next act, if it wont do that do not hung it it over mantelpiece.